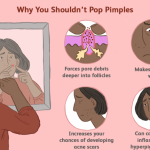 Ever wondered why some people have acne and other people don’t? 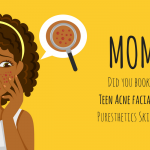 There’s no single pointer explaining why acne occurs. It could be any one of a wide array of reasons. Probably an upsurge of hormones, stress, the onset of puberty, pollutants, dirt, excess oils and other kinds of impurities. This could leave you distraught with no sure way of eliminating your pimples once and for all. The good news, however, is that skin care products like Clear. Now Skin Care System have been developed solely to help stop acne and maintain healthy skin. Here’s more that you need to know about this amazing skin care system. Acne is a skin condition affecting millions of people from all corners of the world. Clear. 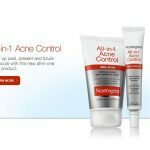 Now Skin Care System is a product that has come to salvage the situation to make lives easier and smiles brighter for acne prone people. 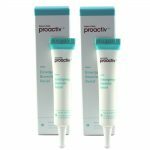 Topping the list of skin care acne solutions this product is a must-have for anyone who has had it with frequent acne breakouts. Why Clear. Now Skin Care System? Is it really for you? To answer your questions, here’s a detailed breakdown of what makes this skin care product stand out from the rest. Clear. Now Skin Care System is made of high quality skin care ingredients such as stabilized Sodium Chlorite and Salicylic acid. Stabilized Sodium chlorite is a crucial ingredient that helps balance your skins natural Ph. Salicylic acid, on the other hand, helps remove dead cells on the surface of your skin to make room for revamped, smooth, blemish free skin. These two ingredients combined mean no more acne for you and glowing skin all day every day. Clear. 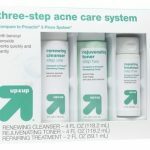 Now Skin Care System comes in a pack of three essential components crucial for a complete skincare routine. These include Clear. 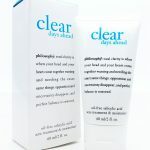 Now Skin Care system skin treatment, Clear. 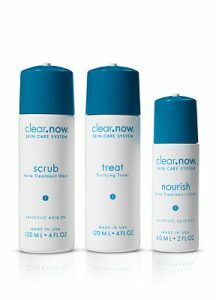 Now Skin Care system purifying toner and Clear. Now Skin Care system nourishing lotion. The acne treatment wash helps to gently exfoliate and wash off all dirt, oil, and impurities from inside and on top of your skin. It is recommended that you use the treatment at least once at the beginning or end of your day. The purifying toner is meant to reduce excess sebum. 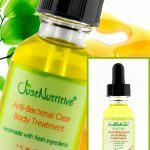 Sebum is to blame for numerous and frequent acne reactions as oil harbors bad bacteria and other impurities that prove harmful to your skin. The nourishing lotion is meant to ultimately close up pores, treat and Moisturize your skin for a clean look, rejuvenated and fresh feel. 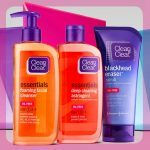 These three combined give you an all-round skin care product sufficient for everyday use. Within a few days of using the Clear. Now Skin Care system you will see significant change in how your skin appears. 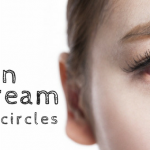 The pimples, whiteheads, or blackheads will slowly dry up and finally disappear. It has amazing ingredients that work to keep your pores clean, skin fresh, eliminate bad bacteria and guarantee you healthy skin. Has a three-step easy to follow procedure. Here you start by washing your face with the acne treatment wash, followed by the soothing toner and finally applying the nourishing lotion. This treatment consists intricate and unique formula aimed at helping you achieve enhanced results. The Clear. Now Skin Care System toner has stabilized Sodium chloride to help balance the skins PH and Kill bad bacteria in a bid to eliminate acne reactions. Despite not having been found to be harmful, some may feel hesitant about using a product whose one of the ingredients is stabilized Sodium chloride. 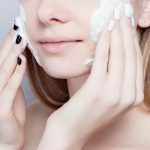 This is a relatively new ingredient in the skin care product industry that only few may have heard of. Your face is the first thing people see when they look at you. You want to make sure that when they look at you they do not get distracted by the many large, red pimples on your face. You instead want them to focus on your strengths and really get to know who you are. 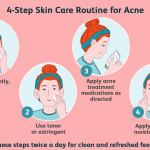 For many Acne is an inevitable occurrence but this is by no means an excuse to let go of your skin. Clear. Now Skin Care System is a one of a kind skin care product that can completely change the way you look. Skin care is part and parcel of responsible personal hygiene. Using the right skin care products makes it possible for you to lead a normal more fulfilled life. For more useful information on renowned, highly effective skin care products, refer to our previous reviews.